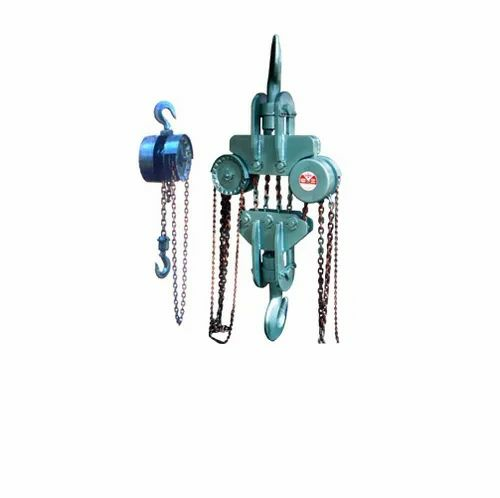 Anker Motorised Chain Pulley blocks are disigned a s a complete product for long & dependable sercices. Screw & Friction disk tyoe brake ensures full sfety at all positions, even at the time of power failure. It is available both in 1 to 3 phase supply. Patel traders was established in the year 1987 by a professional engineer having vision to provide indigenous material handling products to handle goods safely & efficiently. in the year 1989, our product chain pulley block was awarded isi quality certification, and we became the first one to get it amongst the other material handling manufactures in gujarat (india). This isi certification is sustained all these years with offering uncompromised quality in the product sold.